The regular season is over folks! Those 82 games rushed by like Goran Dragic on a fast break. And as the Play-Offs will start tomorrow, I will try to use those 82 games to shine a spotlight onto those players that changed their team during the season. Especially with regard to Play-Off implications. Two of the players we thought might have an impact for a contender are Danny Granger and Glen 'Big Baby' Davis. The first had a hamstring injury (expected to be back on Sunday) and the second had 'a bit of a run-in with coach Doc Rivers Saturday, and it ended with his banishment to the locker room...' (source CBS sports). At least Big Baby didn't throw any keyboards this time. 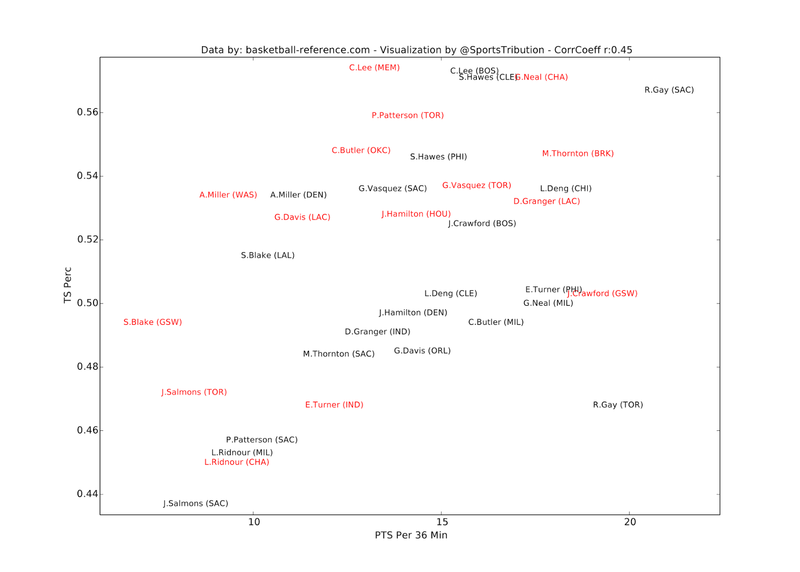 It is quite possible that Memphis would not have made the Play-Offs without Courtney Lee. So, if they somehow upset Oklahoma, I would give this 'award' to him. And Toronto wouldn't be a three seat without Pattalmsquez (especially not without the Patt and the squez part). 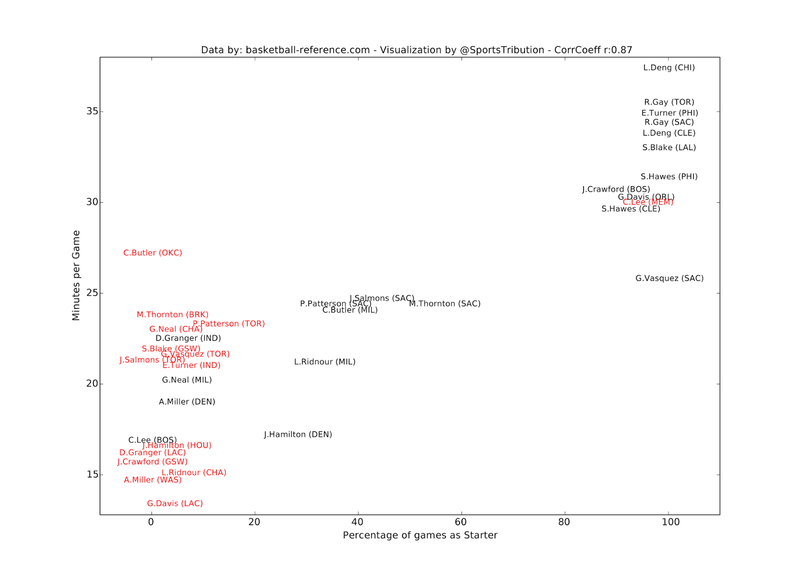 Otherwise the clear favorite is Caron 'Tough Juice' Butler, who plays big minutes for a contender. 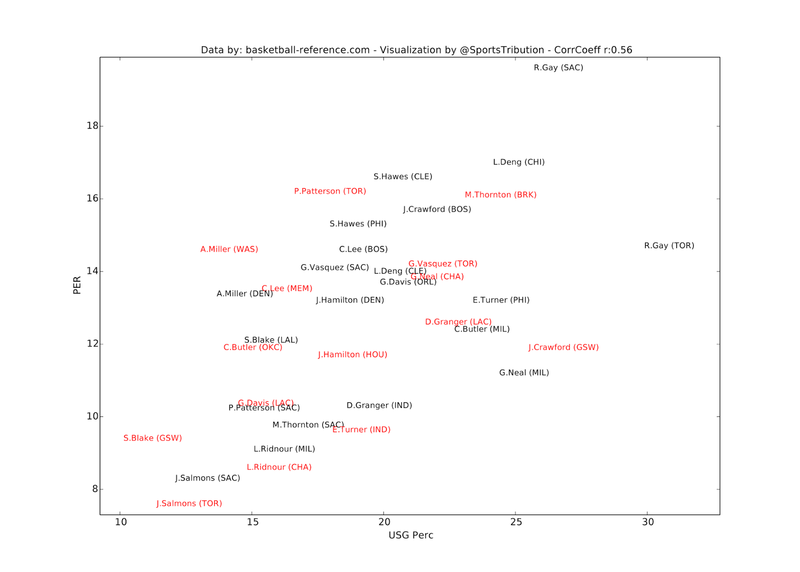 Dark horses are Danny Granger (if healthy) and Glen Davis (if playing), because they play for another contender. And Marcus Thornton could somehow win a game for Brooklyn. As always, let me know if I missed something. Have a nice long week-end and enjoy the games. Play-offs baby!